Hello everyone! I’m here with this weeks Tor.com Thursday post and mini review. I really enjoyed the short I chose this week! Interested in joining? See below for what to do to be a part of it! I really enjoyed the story this week! I guess because it was “horror” it was more in-line with my genre preferences, but I didn’t find this particularly scary… I actually thought it was quite sweet… apart from the murdering bit lol. I liked our narrator and his back story with Doreen and his history of being on the school cycling team. I liked his honesty with the reader about wanting a way out of the life he’s become used to and his view that you never really need to “grow up”. 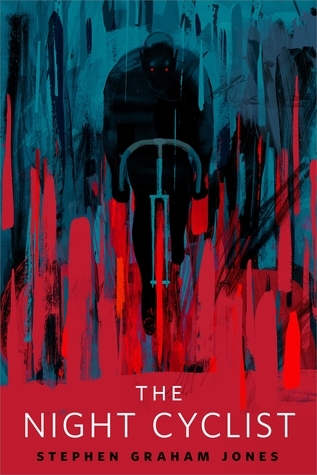 The Night Cyclist was meant to be the scary part of the story, but there was something so melancholy about him that I ended up almost liking him… or maybe pitying him. If you like darker stories that are also quite poignant and lovely, and you have 10 minutes to spare, I’d definitely recommend reading this one. A young man grieving for his lost sister steps into the world of their favorite board game, in a desperate attempt to find her. Next post500 followers! Huge thanks & a giveaway! I hate that I am missing another week! !🤦🏻‍♀️ I’m sorry girl I hope to be back to it next week.